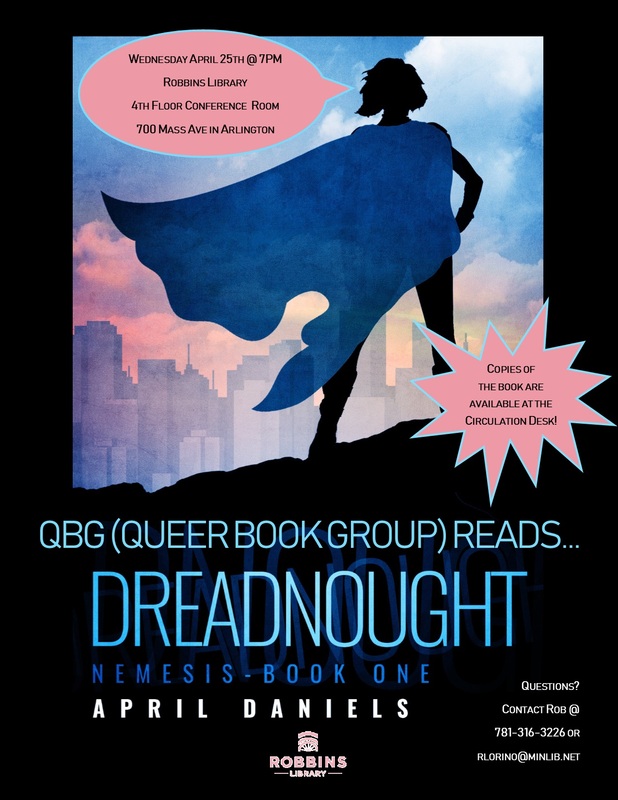 Join us on Wednesday April 25th @ 7pm in the 4th floor Conference Room for a discussion of Dreadnought by by April Daniels! Grab a copy at the circulation desk if you haven’t yet! This entry was posted in LGBT, QBG, Queer Book Group. Bookmark the permalink.